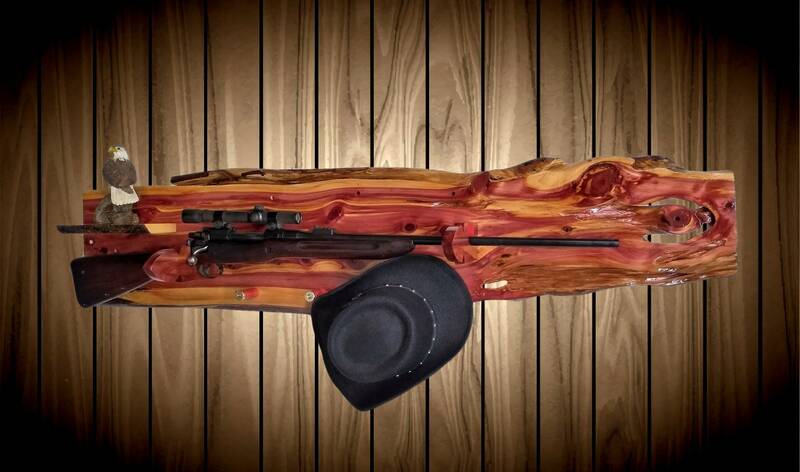 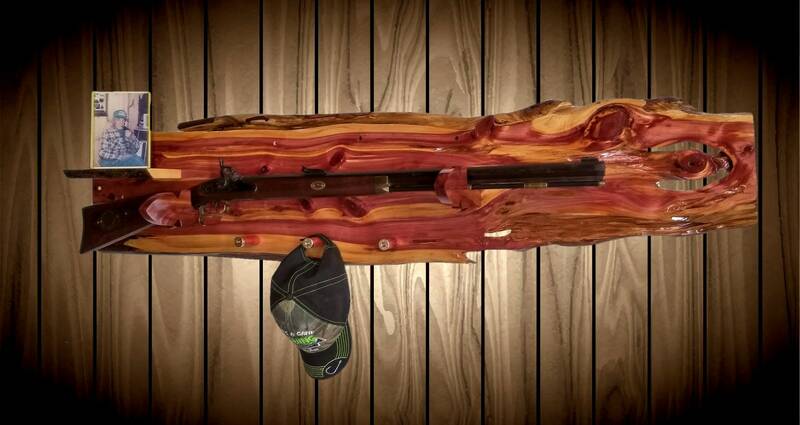 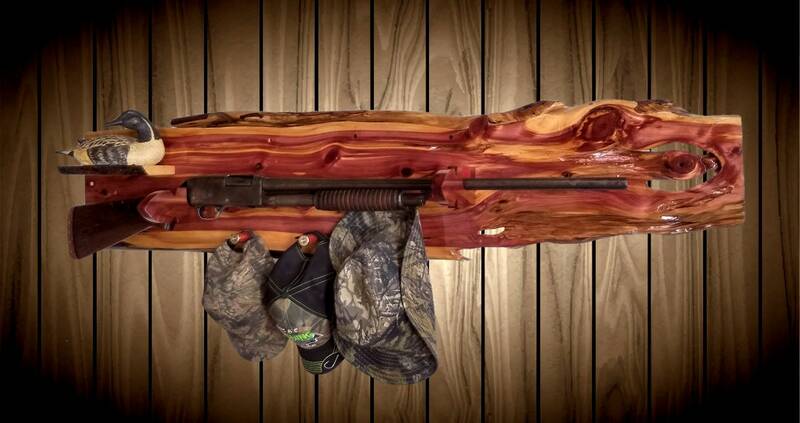 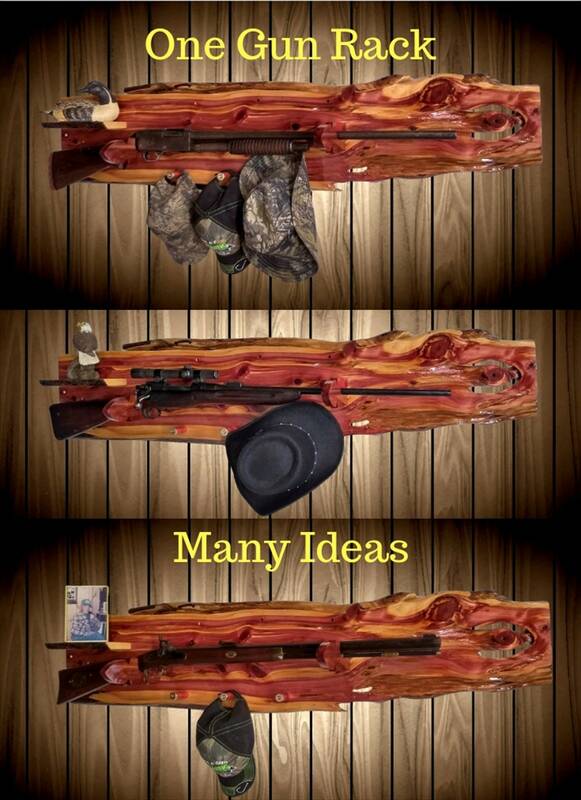 Be Proud to Display Your Favorite Guns with This One of a Kind Rack. 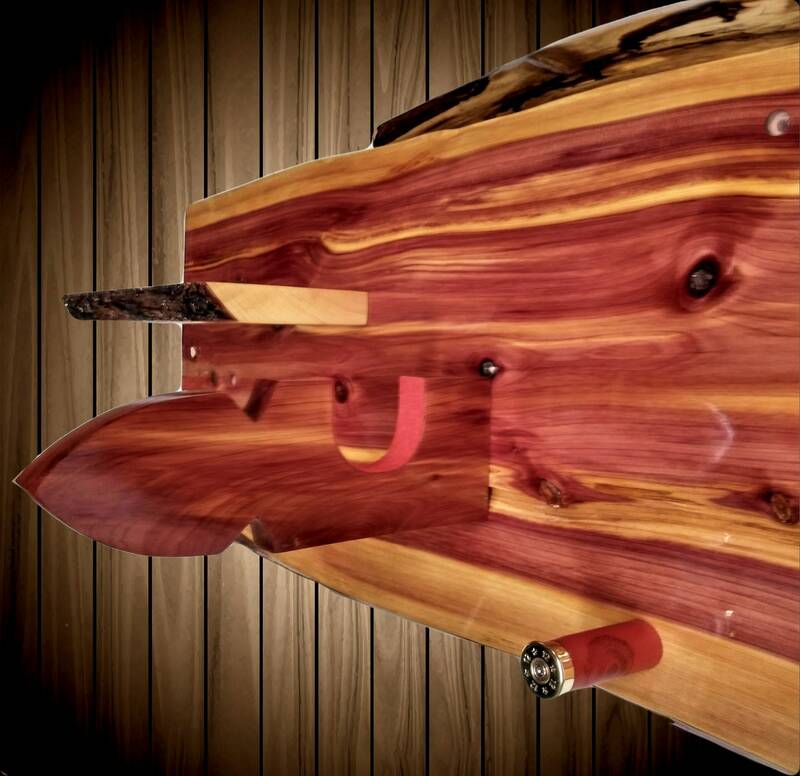 Knotty Cedar Arrowhead Gun Hangers with Red Felt. 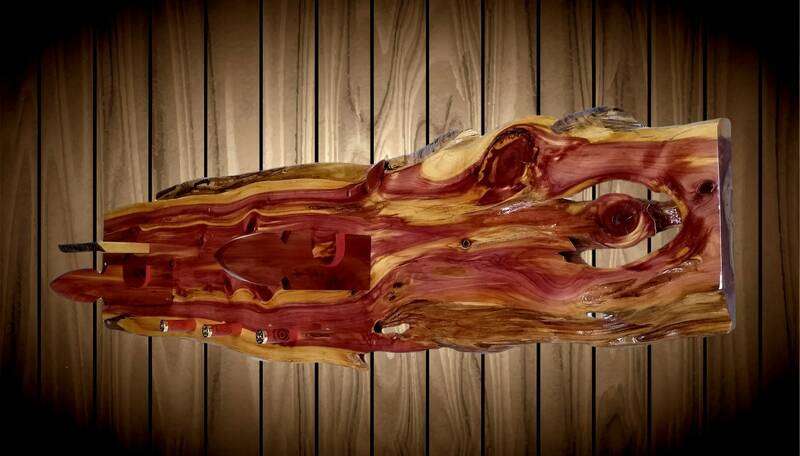 Three Bright Brass/Red 12 Gauge Shotgun Shell Pegs. 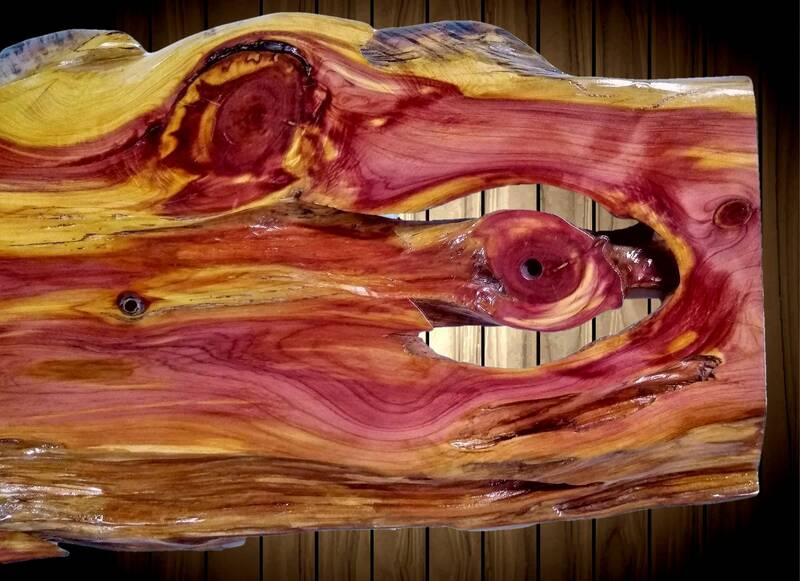 10" x 4" Live Edge Shelf w/Bark on.